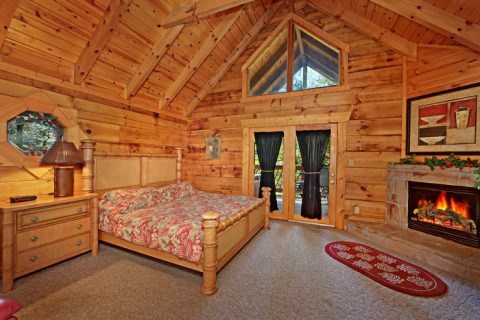 Mountain Shadows Resort is home to the romantic Gatlinburg cabin "Lover's Lane." 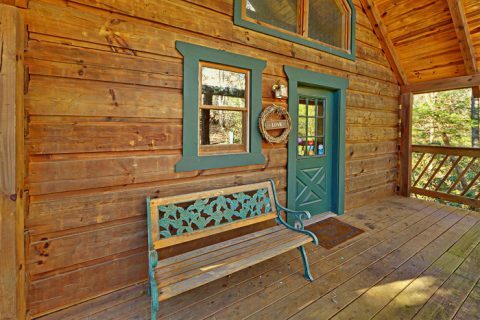 This cozy honeymoon cabin rental with pool access provides guests with tons of features for romance. 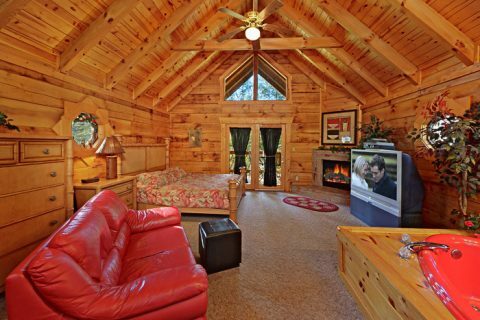 Gatlinburg's "Lover's Lane" invites you to relax and enjoy the company of the most important person in your life. 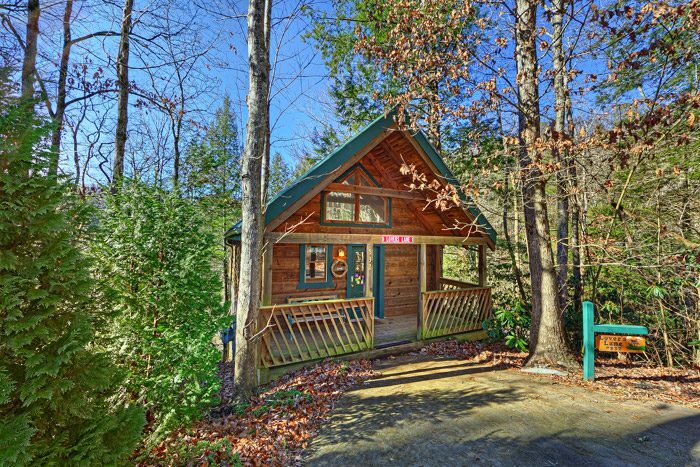 "Lover's Lane" places vacationers beautiful wooded Smoky Mountain setting surrounded by nature, while still offering a convenient location near all the attractions in Mountain Shadows Resort. In warmer weather, couples can enjoy the resort swimming pool, sunbathing and getting a break from those sweltering Southern summers. 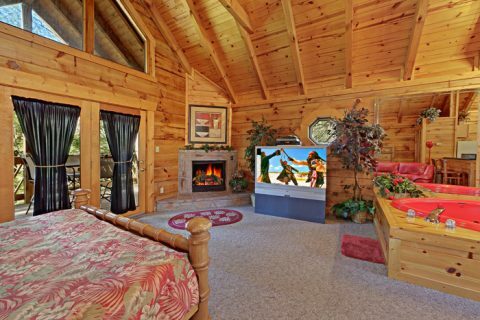 In winter months, the cabin's fireplace adds a nice warm glow to this honeymoon hideaway, inviting you to cuddle close under the covers of your king-size bed. 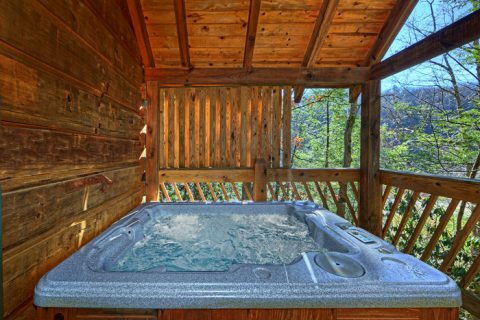 Couples can enjoy their honeymoon cabin rental's hot tub any time of the year. 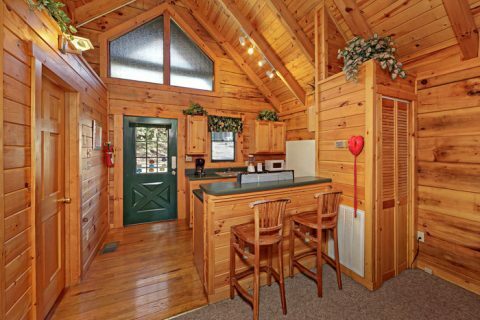 Prepare romantic dinners for two in your fully equipped kitchen with breakfast bar. 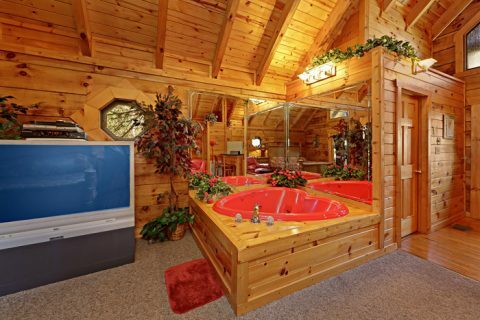 After dinner, enjoy a soak in the romantic 2-person heart-shaped jacuzzi tub. 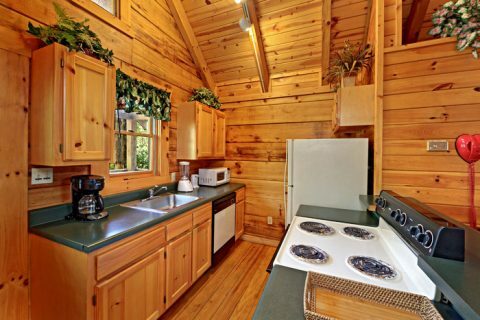 Your comfortable cabin also features WiFi Internet as an added convenience. 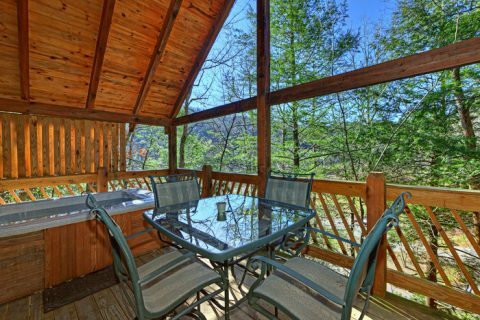 Mountain Shadows Resort places guests near the Gatlinburg Arts and Crafts Community. Honeymooners will love visiting the crafters as they work in their various unique shops. You'll discover some of the Smokies finest arts and crafts here, like the nationally recognized Alewine Pottery. 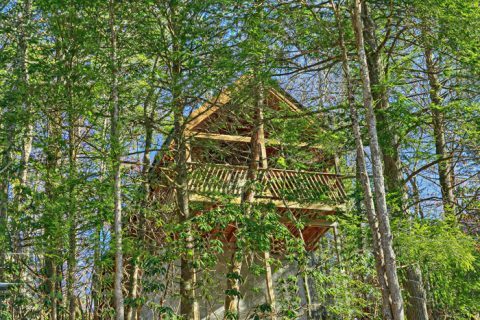 Just minutes away you'll find the Sugarlands entrance to The Great Smokies National Park as well as dozens of attractions in Gatlinburg. "Lover's Lane" rests next to all these exciting honeymoon excursions. BOOK your honeymoon cabin rental with pool access in Mountain Shadows Resort for immediate ONLINE SAVINGS!